In this sweeping historical survey, Humayun Mirza traces the fortunes of his ancestors, the powerful rulers of Bengal, Bihar, and Orissa, whom Robert Clive defeated at the Battle of Plassey in 1757. Turning next to the colonial experience of India under British rule, Mirza describes the long struggle for independence that ultimately led to the partition of India and the birth of Pakistan. 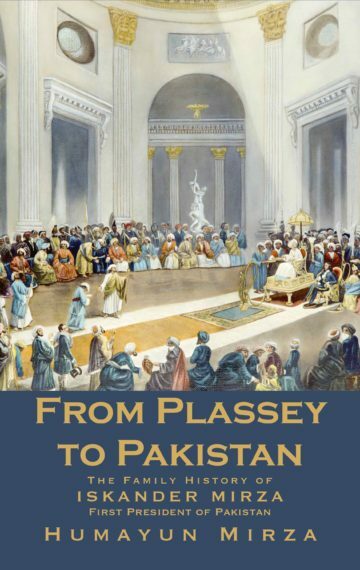 With its subsequent focus on the career of the author’s father, Iskander Mirza, first President of Pakistan, From Plassey to Pakistan offers the reader a comprehensive picture of a politically volatile region that remains at the very center of our global consciousness. Humayun Mirza is the last of the Bengal princes and the only surviving son of first President of Pakistan Iskander Mirza.